Last week I made a political statement on a Facebook post written by a friend. It wasn’t too provocative but certainly made my point. I am always wary of posting political opinions on any social media platform because of how toxic these places have become. It didn’t take long for someone to respond and then another. The second one grabbed my attention and I considered deleting my original post because I didn’t want to be responsible for one more argument about politics on social media. However, to my surprise and joy, the first responder bowed out of the conversation gracefully not wanting it to turn into something nasty and then the second one did the same. It was amazing! Two people expressed their differences of opinions and no one lost their temper, started cursing, accusing, blaming, they simply tipped their hat to the other and that was the end of it. I still believe that there is more that unites us than divides us. Too often it is forgotten in the heat of the moment, the political battle where one side has to win at the expense of the other. We can have different opinions, worldviews, beliefs, and still be kind and considerate. We just need to listen to our hearts instead of the voices who tell us otherwise. When we judge others, even only in our minds, we are forcing our limited understanding of what’s real, normal, acceptable onto their limited understanding of the same. When we label someone as lacking we’ve actually judged ourselves. We show our minds, emotions and wisdom to be lacking. 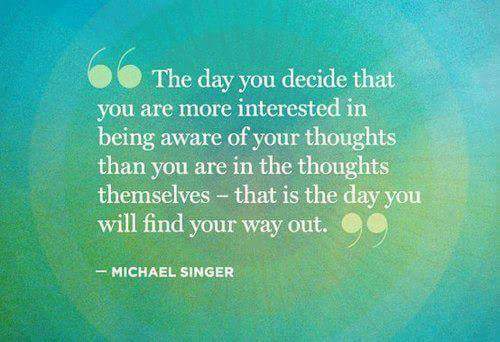 Thoughts are meant to be considered, reflected upon, examined in broad and focused ways. We are to seek to understand and then be understood. When judgement fills our minds, hearts and spirits there’s no more room for wisdom, compassion, relationship.